Join us for an exciting exploration of chain reactions as we discover and test movement while creating our own Rube Goldberg Machine! This collaborative workshop will encourage participants to imagine and design using different materials, energies and props to make movements, combining efforts to create one massive invention – try to think beyond falling dominoes for a contraption that makes your jaw drop like when you watched Home Alone for the very first time! Suitable for children aged 7+, and all children must be accompanied by a fully participating adult. Younger children can come along, and don’t require a ticket, but please note that for health and safety reasons this workshop is not suitable for children younger than 7. 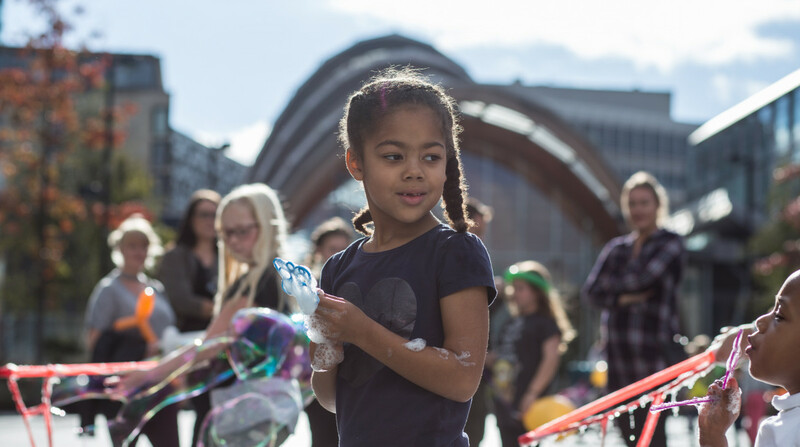 Fun Labs is our programme of events designed to offer families opportunities to be creative together, with activities to encourage and support creativity, experimentation and skill sharing for the whole family. Workshops are free to attend, so spaces are generally filled quickly. If you do book spaces but find you are no longer able to attend, please let us know in advance so we can offer these spaces to other families. A number of walk-in spaces will be made available on the day for this event.